It is also called Bangkok Railway Station. It is the main gateway to southern, eastern, northern, and northeastern Thailand. 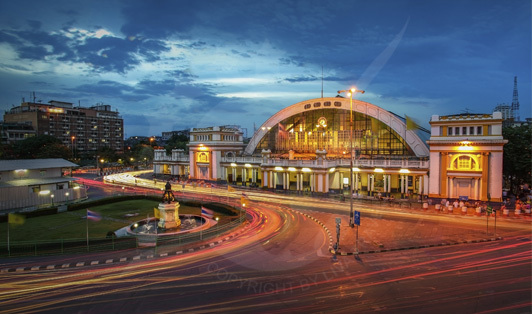 The station has an elegant design by an Italian architect called Mario Tamagno who designed many other government buildings in Thailand. The station has a connection with the MRT underground system. On the ground floor of the station, there are shops and food outlets. Taxis are found to your right when you exit the station.